Have you ever missed your exit on the freeway? And you know already that the next exit is two or more miles away? You're just on the freeway, moving along at 65 plus miles an hour, and you can't get off. There's nothing you can do about it. This whole growing a mini human experience feels a bit like that. Not in a bad way (because when you miss your exit, you desperately want to get off but can't). I don't want to get off this train. Pregnancy has treated me fairly well so far. But there is a distinct feeling of being on a runaway train-- physically, emotionally, financially, and mentally. Example: My normal attire almost daily for at least an hour and a half is a skintight leotard and tights/shorts. My stomach area started out totally flat, even at about seven weeks along. Then slowly but surely, the bump began to grow. "Duh," you are thinking, "That's what happens when you are pregnant." But wait a minute-- up until January, my career has been to a) Stare at myself in the mirror, b) Scrutinize my body shape/poses, and c) Sculpt my muscles, lines and positions toward the unreachable ballet ideal. And the appearance of this small but growing melon right in my center kinda sorta throws me off. Mentally and physically. And to be honest, sometimes emotionally as well. Imagine you are an accountant. Your job and life is to add, subtract, multiply, etc. One day your mind begins to change without you even realizing it. At first it's barely noticeable-- you are making tiny mistakes (ie, like my belly pulling my weight forward in ballet class) in your calculations, occasionally putting a wrong number in the spreadsheet cell. Slowly but surely, the mistakes get a little more frequent and pronounced. Your calculations are pretty much always off. By a lot. And you know it's going to be like that for 10-ish months. You basically must change your entire lifestyle and way of doing your career. That's what this feels like. A strange, yet wonderful Twilight Zone where there is a cute little mini human inside my uterus. This mini human has begun to totally change my life and outlook in so many ways. I wouldn't have it any other way, but I'm tellin ya... what a perspective shift. I'm learning to accept my limitations with humor instead of frustration. I have learned to naturally modify my daily ballet class without getting irritated about it. 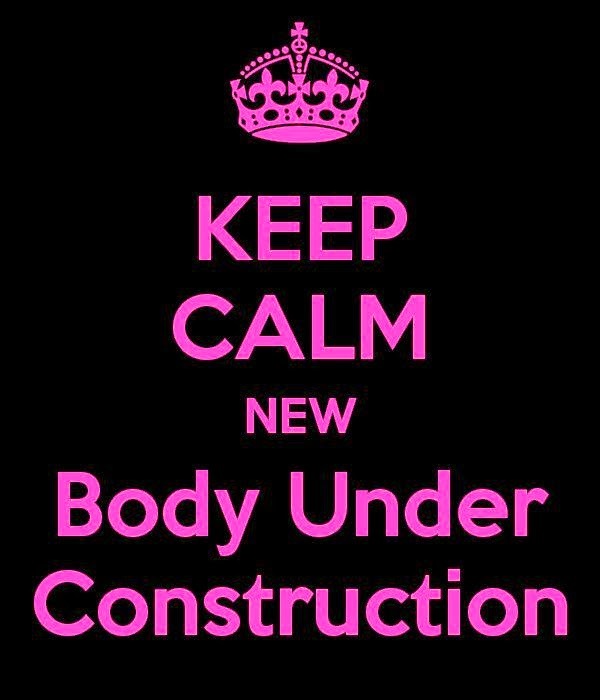 I know and understand this runaway train isn't probably going to stop until around September 20th (my new due date), and I am going to continue getting bigger. And bigger. And heavier too (adding to my already aching calves). And that's ok. Because, as my good friend Beth told me early on, "You get a prize in the end." What a beautiful way to think about this short period-- looking out of the window of the train and enjoying the scenery instead of just waiting at the door to get off. Mini human at 20 weeks, planning the escape from the womb by feeling out the periphery. This is what a 20 week old mini-human looks like, apparently. One that is pushing with all its might against the placenta like there is a lifetime supply of chocolate on the other side... Which, ironically, there is. Maybe the mini is smarter than we thought. 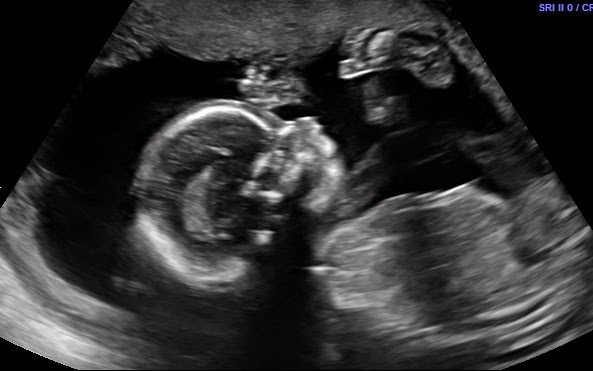 We had our "long" ultrasound the other day (which turned out to be not so long... kind of disappointing but we got a few more pictures and a few video clips out of it, so not so bad I guess). Mini was moving and pushing around inside there, almost like a mime tries to push its way out of an invisible box. It was so nice to see that movement and hear the heartbeat. Strangely, as I watched the pushing and moving on the screen, I could not feel a thing-- although in the few days since then I've felt much more movement than I have in the whole first half of the pregnancy. The good news? Everything checks out normal and good, I cannot tell you what a huge sigh of relief came out of me when they informed us of Mini's general good health. The bad news? I'm only halfway done and I'm all of a sudden looking like I have a small watermelon hidden under my clothes.